Connors State School of Agriculture came into existence with the act of Oklahoma’s first Legislature in 1908. Connors was one of six state agricultural secondary schools created. The other state schools of agriculture included: Cameron (Lawton), Connell (Helena), Haskell (Broken Arrow), Murray (Tishomingo) and Panhandle (Goodwell). First class at CSSA on the steps of the Warner Public School, 19o9. J.P. Connors (1857 - 1942) Connors and Russell were both inducted into the Oklahoma Hall of Fame in 1932. Campbell Russell (1863-1937) is considered by many to be the founder and most passionate booster of Warner. He was Muskogee County’s first state senator, and served in the first, second, fourth and fifth Oklahoma Legislatures. Russell and members of the local area citizenry demanded and were granted open hearings on where one of the new agricultural schools was to be located. Petitions were circulated, signatures obtained and the group took the protest to the State Capitol in Guthrie. Russell and the citizens pleaded that students of the proposed agricultural school would be better served in a ranching community such as Warner as opposed to Muskogee or another city. Russell is credited with pushing through the final decision on the school’s location with the help of first Chairman of the State Board of Agriculture (1907-1911), John P. Connors. The local citizenry subscribed nearly $8,000 at $40 an acre to donate 160 acres west of Warner for the institution’s site. Russell proposed the school located in Warner be named after John Pierre Connors. The State Board of Agriculture served as the original governing body of all six state schools of agriculture for several decades.. The first decade of Connors State School of Agriculture can be best described as a decade of uncertainty and constant change. The State Board of Agriculture, the governing entity of all six state schools of agriculture, monitored enrollments, spending and politics threatening to close schools that seemed to be under-performing. The board considered Connors first enrollment of 15 students in February 1909, as unsatisfactory and the school was threatened with closure if enrollment did not increase. Administrators responded and enrollment immediately jumped to 35 students and eventually reached 75 the following year. With the new growth of CSSA, Superintendent Walter Van Allen moved classes to the 2nd floor of the Overstreet Building in downtown Warner. By 1911, Van Allen laid the groundwork, hired an architect and moved classes to its current location, the Administration Building (renamed to the Classroom Building in 1963) one mile west of town on land purchased by area citizens. Architectural drawing of Classroom Building, 1910. Overstreet Building located in downtown Warner. In 1912, the political antics of Campbell Russell concerning Superintendent J.S. Murray and members of the State Board of Agriculture resulted in a Board committee meeting held in Muskogee, “Relative to the recent order closing the…agricultural school at Warner.” More than 200 area citizens signed an invitation to petition the Board to hear their concerns in order to save the beloved school. From 1911-1919, leadership changed six times. Despite the constant changes, CSSA continued to provide the citizens of the new state with the tools and knowledge necessary to work the land, raise the crops and livestock. Early education provided by Connors was predominantly of a practical nature and was drawn along gender lines, providing courses of study for boys and girls. Early day course announcements included such classes as farm machinery and implements, road making, farm crops, curing meats, farm accounts, cooking, sewing, needlework, laundering, millinery, as well as English, mathematics, history and civics. By 1915, in state schools, students who completed work in pedagogy, were awarded second grade state teachers’ certificates. Hiram C. King, Superintendent, 1918-1933. In 1918, Hiram C. King (1918-1933) became the ninth and first long-term Superintendent of CSSA. He could also be considered the first “building” administrator. An article in Harpers Weekly in 1929 gave a John Steinbeck’s Grapes of Wrath description of Connors prior to the arrival of King. Shutters hung precariously, windows were broken, weeds were growing everywhere, no running water or electricity and a general atmosphere of desolation and despair. The article’s overall purpose was to portray Connors as an example of an institution worthy of support for the ideals, principles and education exemplified by this rural, two-year college for the good of the nation. During King’s tenure the Dining Hall; Berry Cottage, a residence for women; a shop building; a central heating plant; Holloway Hall, a men’s dormitory; and Kinghurst Hall, a women’s dormitory; were built. An additional 60 acres of farm land was obtained from area citizens. The boys of the class of 1924, under the direction of Industrial Arts Instructor, Burt Huckleberry built a stone bench that still stands in front of the Connors’ original Administration/Classroom Building. In 1927, CSSA became a state-accredited two-year college by an Act of the 11th Oklahoma Legislature making H.C. King the first president of Connors State Agricultural College. Also, the first issue of the Connors Collegian newspaper was created and produced by students, J.K. McClarren and Edd Lemons. The lack of electricity, plumbing and reliable water supply created challenges for the struggling school. An electric high line was run to the school in the late 1920’s. College announcements in the early 1930’s advertised the fact as a draw for prospective students. The school’s allotted maintenance budget of $600 annually would not be enough to furnish a water supply. King, with the help of students and a hired team of horses, dammed an existing water shed on the farm in three days and put an automatic electric pump on the resulting containment pond - all for $375. Presidency of H.C. King continued into the first three years of the 1930’s. He continued building and remodeling projects. One of the main projects in the early thirties was the renovation of the dining hall into a Science Labs Building. In 1933, Jacob Johnson became the tenth and longest serving president, with 32 years at Connors and two additional years at Oscar Rose Junior College (now Rose State College) in Midwest City. Johnson was referred to as “The Dean of Junior College Presidents” because of his years of service in Oklahoma Higher Education. He was inducted into the Oklahoma Hall of Fame in 1965. During the 1930’s several projects were taking place. In 1934 the first Connors’ annual, the Connohoma, was published. Five years later the name was changed to the ConAgri. Other projects during the decade included a new gymnasium, an auditorium, a Shops Building, a football field, a 440-yard cinder path, and a brick barn. The Science labs Building first served as the campus dining hall in the 1920s. It was in 1937 that George A. Coffey made his greatest contribution to the school he once led. In 1936 he was elected to the Oklahoma House of Representatives. Due to Connors’ water supply issues, some members of the legislature were clamoring for the closure and/or consolidation of CSAC. Coffey sponsored a bill to create a water supply for the institution and gave an impassioned speech in an effort to stop the consolidation. His efforts paid off and money was appropriated to build a reservoir to supply the college with drinking water. It is known today as Warner Lake and is often referred to by students as Jake’s Lake. Throughout the decade sports programs became more organized, music and fine arts grew in popularity, and the Agriculture Department continued to develop. Opportunities ranged from male and female trios, quartets, and sextettes to farm clubs, 4-H programs and a judging team. In contrast to the building boom of the 1930’s, the decade of the 1940’s is defined primarily by World War II and its aftermath. In 1941, Connors was one of nineteen state schools to offer civilian pilot training by the Civil Aeronautics Administration. The course included 72 hours of ground training taken on campus followed by flight training at Hatbox Field in Muskogee. A year later, Connors and six other Oklahoma colleges were called upon by the Army Air Force to assist in the training of administrative personnel in the Army Air Force Technical Training Program or AAFTTC. In eight-week sessions civilian instructors trained students in clerical procedures involving engineering, operations, supplies and military administration. From 1943-45 Jacob Johnson was was called upon to serve in the Armed Forces. True B. Emerson was selected as acting president. Between the years of 1941-45, campus life at Connors was quiet. Low enrollments were felt in colleges statewide and Connors was no exception. After the War, the campus grew with the influx of soldiers coming back to their homes and farms. In 1946 the Veterans Agricultural Training Program (VATP) became a part of the Connors’ curriculum. VATP was created by congress in 1945 to provide returning veterans with practical and scientific farming information. The goal of VATP was to rebuild farm lands and help the veteran farmer rebuild his life after the war. Beginning in the late 1940’s Connors had its own National Guard Unit. In December 1947, eleven National Guardsmen met in the Agriculture Building under the command of First Lt. John J. Barton. Connors’ group became the nucleus of the First Platoon, N Company 1 of the 179th Infantry Regiment of the 45th Infantry Division known as the Thunderbirds. The 45th Infantry Division was one of four National Guard Divisions activated in 1940 by President Franklin D. Roosevelt. After the war, organizations started to come alive again, sports teams prospered, and enrollment steadily grew. Football, basketball, and boxing resumed conference play and a wrestling team known as the “Connors’ Grapplers” was created. In 1946-47, the women’s basketball team, The Aggiettes, posted the best season of all Connors teams with a record of 22-4. During the late 40’s, the Agriculture Department sponsored its first judging contest and hosted its first Aggie Day. The idyllic college experience was born in the postwar period of the late 1940’s and the decades of the 1950’s and the 1960’s. It was an era that today’s colleges attempt to replicate but seems no longer attainable. Too much innocence lost, too many outside influences via technology and transportation, the need for two incomes to pay bills - all work against the 1950’s Happy Days vision as portrayed on television. In retrospect, the decade of the 1950’s was probably not as carefree as it seems from the distance but it was slower paced and more localized. During the 1950’s there were a few major building projects. The Jacob Johnson Library and Science Building was built in 1951 in the center of the campus to house the library, audio-visual area, science labs and classrooms. The need for faculty housing including the president was addressed during the 1950’s. In 1954 a ranch-style home was constructed south of the barracks and yet-to-be built Melvin Self Fieldhouse as the president’s home. The new home replaced the McPherson, built circa 1907. Over the years the college provided housing units for faculty and staff. The housing options included modular housing, duplexes, and single housing units. Housing was also needed for returning G.I.’S and their families after World War II. Beginning in the late 1940’s and into the early 1950’s Connors built barrack-style housing for these families. A Reserve Officers Training Corps (ROTC) was activated at Connors in 1951. ROTC had a Rifle Team that competed against other ROTC teams across the state. Sabers and Stripes, the officer’s club of ROTC, sponsored all school dances and the “spit and polish” Military Ball. Connors’ agriculture program was regionally and nationally known throughout the 1950’s. Connors achieved national attention for having one of the five top Duroc “production-accredited” herds in the United States. Ag instructor, Robert Hodges, credits 900 pound registered boar, “Squire Prince, 369147” as one of the biggest reasons Connors’ herd was among the top five in the nation. A defining moment in Connors’ history happened in the first half of the 1960’s. It spurred the growth of the Warner campus and, indirectly, planted the seed for Connors’ later expansion into Muskogee. In the early 1960’s, Muskogee Junior College (MJC), created in 1920 as the first municipally-funded junior college in Oklahoma, was on the ropes financially. In 1962-63, Connors absorbed MJC as Connors’ Muskogee branch campus. The politics to move Connors to Muskogee at this time were complex. The Oklahoma State Regents for Higher Education and the Regents for OSU and the A&M system presented President Jacob Johnson with the following proposition: move Connors to Muskogee or build three new buildings on the Warner campus. Johnson’s decision was to build new facilities in Warner. Construction began on McClarren Hall, a women’s dormitory, the Administration/Classroom Building, now known as the Education Building, and the A.D. Stone Student Union. In 1961-62 Robert Hodges initiated the Bull Performance Project. Area breeders and Hodges organized the first test with the intent of improving the quality of livestock in Eastern Oklahoma. Livestock owners put their bulls into the test to find the most rapid weight-gaining animals in a controlled time period. At the end of each test period, a sale would be conducted that would draw in ranchers and farmers from across the region. The Bull Test still provides area ranchers with quality, performance-tested bulls and agriculture students with hands-on experience. First rodeo club president, Mike Bratt, 1969. During the 1960’s several new organizations appeared on campus, various art, music, drama and journalism productions were at their peak and a very popular Law Enforcement program was initiated. Highlights of the decade include the creation of the college’s official logo for the 1970’s and early 80’s, the Ten Pretty Girls competition and the retirement of Jacob Johnson in 1965. Highlights of the sports world include the Aggie baseball team winning regionals at Grand Junction, CO, the organization of the first Women’s Recreation Association and Connors’ first rodeo club was created. The 1970’s witnessed continued change marked by significant restructuring of Warner campus buildings and the beginnings of Connors’ permanent presence in Muskogee. One of the first endings came for the Con-Rah Yearbook which published its last edition in 1971. A magazine took its place, first named The Rap and shortly after changed to the Spectrum. The last Spectrum was published in 1986. Dr. Melvin Self served as president until 1978, at which time Dr. Carl O. Westbrook became the 13th president. After a three year fundraising effort, the Student Senate commissioned the purchase of the bronze CSC logo located to the north of the Student Union in 1971. The logo used was designed by former CSC grad, Bob Eichling, who later returned to Connors as a journalism instructor and was surprised to see his design was used as the emblem that greeted students and visitors to campus. As the campus and student body steadily grew, the college created new departments, renovated buildings for new space and added offices to address the college’s needs. The Classroom Building was renovated, the maintenance barn was built and the third president’s home was constructed during the decade. In 1974 CSC received the first of several Title III HEA-65 multi-year grants. Title III helped expand the college’s curriculum, improve student services and facilitate administrative and fiscal management. The grant helped to create degree programs such as Nursing, Equine Technology and Small Business Management. In 1975 Connors made application with the federal government to become a Vietnamese student refugee re-settlement center, and later that year, 94 Vietnamese refugees began classes in the fall semester. The tenure of two men whose work and mentorship have been the foundation of the continued success of the CSC Agriculture Program began in the late 1970’s: Gary “Doc” Harding in 1977 and Jerry McPeak in 1978. Harding, hired as an agriculture instructor, chaired and reorganized the department; McPeak revitalized the livestock judging program and coached teams year after year, gaining national award-winning recognition. 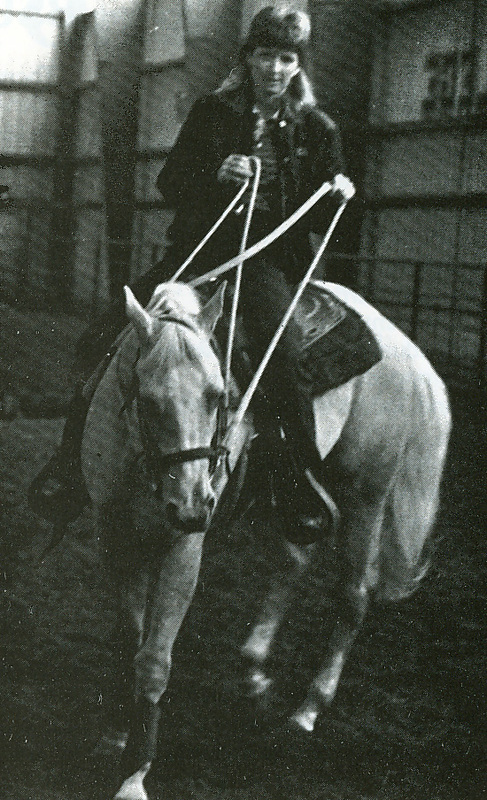 The equine program was added in 1979 with Fred Williams as instructor. Connors achieved a number of national honors during the eighties from national rankings for PTK members to All-American honors in the athletic department. Under the guidance of Bob Eichling, history instructor and PTK sponsor, Connors’ Mu Chi Chapter of Phi Theta Kappa was consistently ranked among the top 25 chapters in the nation. The livestock judging team won numerous state, regional and national championships as did the new equine judging team. One of the equine team’s first significant awards was a second place ranking overall at the World Quarter Horse Judging contest held in Oklahoma City in 1983. The equine team ended the decade as national champions at the same event in 1989. Coach and Athletic Director Monte Madewell successfully led the women’s basketball team throughout the 80s. He produced several First Team All-Americans, state and regional championships and national rankings culminating in NJCAA National Championship honors in 1985. The Cowboys produced their second First Team All-American, Region II MVP and Oklahoma Junior College Player of the Year Eddie Louie. Under the leadership of Coach Perry Keith, the Connors’ baseball team garnered state and regional championships culminating in trips to the nationals on several occasions. Keith was named Regional II Coach of the Year in 1984-85. Several players earned All-American and Academic All-American titles during the 1980s as well. The CSC Spectrum magazine won two national awards in 1982-83. The first award was from the American Scholastic Press Association and the second from the Associate Collegiate Press. Expansion of Connors both in physical plant and increased presence in Muskogee was also happening throughout the 1980s and during the presidency of Dr. Carl O. Westbrook (1978-1994). After years of effort by several CSC presidents, the State Legislature authorized Connors to operate a Branch Campus in Muskogee in 1988 with exclusive rights to provide lower division college course work. Expansion began in 1992, when Connors was deeded the eight-story C.N. Haskell Building by the State of Oklahoma. Two years later, under the initiative of Gary “Doc” Harding, Connors acquired 1,316 acres of land through the Farmer’s Home Administration that was originally seized in a drug bust. The ranch continues to function as a laboratory for agriculture and science programs. In 2002, it was officially named the Harding Ranch. In 1994 with the lack of science labs in the Downtown Campus, Connors acquired 42 acres of land in northeast Muskogee for the construction of a 28,500 square foot classroom/science complex. The building, known as the Three Rivers Port Campus was completed and dedicated in December, 1995. Coach Stepp, National Championship Title Game, 1990. The decade of the 1990s began with great successes in basketball. The Cowgirls were ranked number one in the junior college polls in 1990, and the Cowboys missed a rare chance at junior college history when the men’s team was upset by WestArk by three points and dropped to fifth. However, the Cowboys claimed the National Championship title that year defeating the College of Southern Idaho under Head Coach, Ed Stepp. The 1990’s also produced nine All-American athletes under coaches Ed Stepp, Bill Muse and Monte Madewell. Coach Perry Keith’s baseball team also produced 16 All-Americans in the 90s. Major League Baseball player Julio Lugo was one of the members named to this elite list. The decade was also filled with success for the Livestock Judging Team and the Equine Judging Teams. The judging teams won trophies at all levels, including two of the most prestigious shows in the world: the American Royal at Kansas City and the North American International Livestock Exposition in Louisville. Equine coaches, John Turnbull, Buddy Lassiter and Fred Williams garnered their fair share of trophies while competing in regional and national shows throughout the 90s. Nearing the end of the decade, Fred Williams and Buddy Lassiter coached the first Connors’ National Intercollegiate Rodeo Association team. The decade began with the retirement of President Dr. Ron Garner and the appointment of Dr. Donnie Nero as the 15th president and the first African-American president of a non-historically black institution marking a milestone in Connors’ history and the state’s higher education history. Another significant event in 2000 was the accreditation by the Higher Learning Commission to provide degree programs at the Eddie Warrior and Jess Dunn Correctional Centers in Taft, west of Muskogee. The arrival of a new century ushered in an era of significant growth and change. A few of the building projects included the remodeling of Gatlin Hall into a One-Stop Enrollment Center, the construction of a $9.6 million apartment-style housing complex known as Millers Crossing, remodeling of the fine arts facility and the addition of a second greenhouse. One of the most significant developments of the decade was Connors’ Orange to Green partnership with Northeastern State University. In 2008, Dr. Donnie Nero and NSU President Dr. Don Betz, signed an agreement laying the groundwork for a future joint campus operation between CSC and NSU in Muskogee. The groundbreaking for Connors’ new $2.2 million Student Services facility was held December 2009. Coach Keith huddles with members of the Cowboys baseball team, 2000. Agriculture and equine judging teams continued to garner wins and high rankings at the Houston Stock show, Tulsa and Louisiana State Fairs, Grand Nationals, North American, and American Royals. Rodeo team member Sage Shoulders was the national winner in Equine Entrepreneurship at the National FFA Convention in 2008. Baseball coach, Perry Keith, who played for CSC in 1981-82, was inducted into the NJCAA Baseball Hall of Fame in May 2008 with a career- to date record of 1,146 wins and 318 losses - first in wins among active baseball coaches. With the retirement of Dr. Donnie Nero, Dr. Tim Faltyn was appointed as Connors’ 16th president in July of 2011.